Police officers near the entrance to the Kolomenskaya metro station. Four were injured in a gas explosion in the underpass leading to the station. Russia’s Federal Investigative Committee probes into the incident which injured 10 people at a Moscow subway station in the early hours of the day. 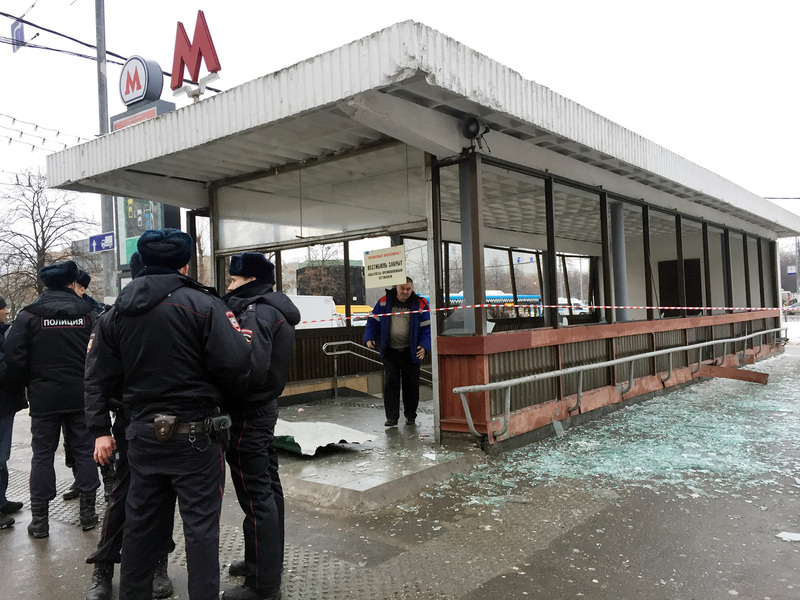 A blast of considerable power exploded at the entrance of the Kolomenskaya subway station at 9:20 am in Moscow. A gas cylinder caused the explosion, according to preliminary reports. The blast injured at least 10 people, according to initial information reported (in Russian) by Life. No fatalities were reported in connection to the incident. Russia’s Federal Investigative Committee is examining the Rost-E company, which was conducting construction work at the entrance to the station, despite the contract for the work having been declared invalid earlier, reports (in Russian) Life news portal. Moscow Metropolitan hired Rost-E to renovate vestibules and underground pedestrian crossings at 7 stations around the city. The company has been working with the Moscow subway since 2015, reports (in Russian) Life.